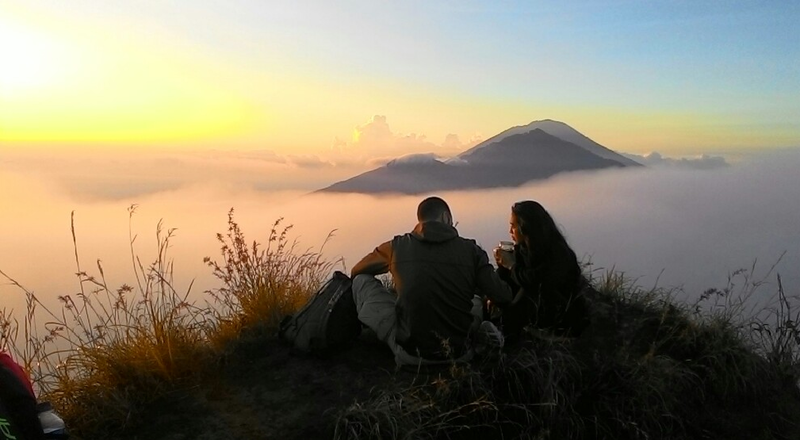 The Mount Batur Trekking is one of our most popular outdoor activities for good reason. 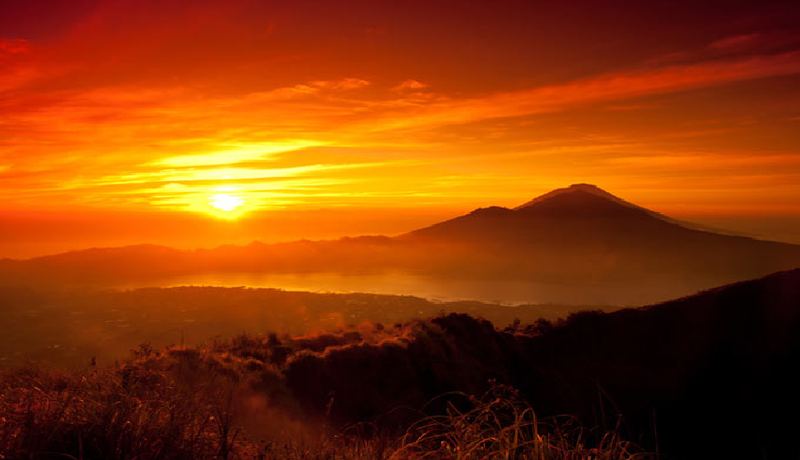 Not only do you get to explore an active volcano and get up close and personal with one of Bali’s most sacred mountains, but you also get to experience spectacular views of the sun bursting onto the horizon in a riot of oranges and yellows and slowly spreading over the caldera and lake below from the top of the volcano. 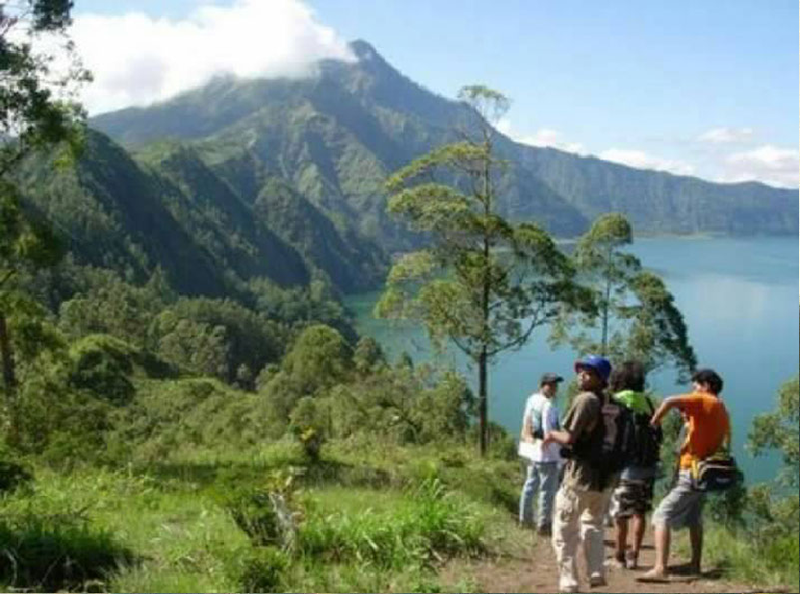 Mount Batur Trekking Tour start from Purajati Temple, which is located at the foot of the mountain at 1,000 meters above sea level. We climbed Mount Agung a month ago and we really have been prepared! Our guide from Bali Jungle Trekking community picked us up from our hotel at 1.30 a.m. and told us that we needed warmer clothes because at the summit of the mountain really gets very cold- even when it is bloody hot at the bottom! 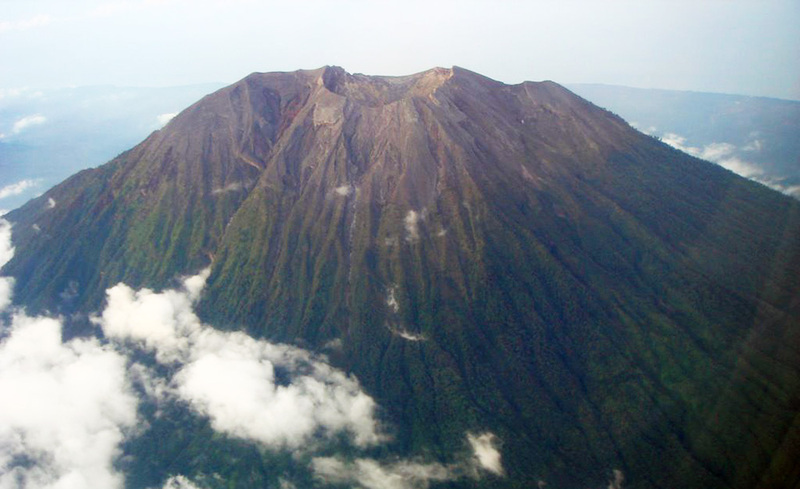 We think it would really help for other hikers to contact Bali Jungle Trekking community before they climb this highest mountain of Bali Island. This is for their safety and to make their sunrise trekking trip even more exciting! First - Bring a backpack with much water, space for your breakfast and bring also some snacks for the way up and the way down, you will need the sugar boost for your challenging trip. 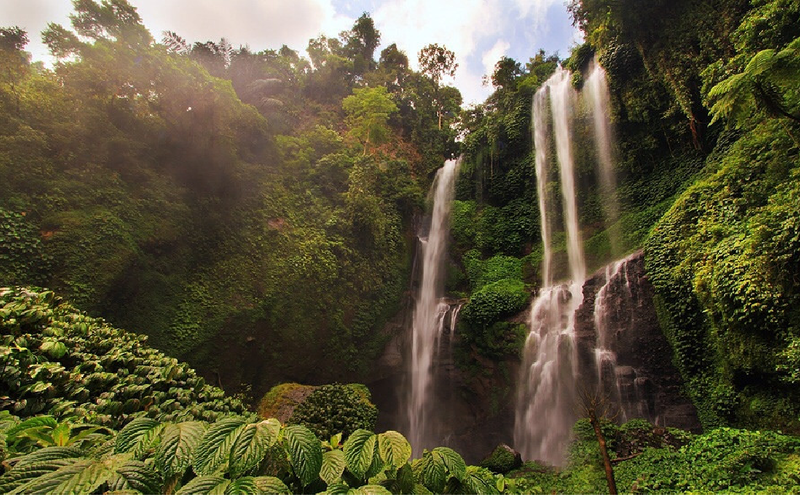 Second - Do it with experienced local guides like the ones from Bali Jungle Trekking community because they will keep track of you and will have a cellular phone on them so that if something does go wrong, they can call for help. Third - Do it at your own pace, remember that this is your trekking journey. If you cannot reach the peak by sunrise it is really not the end of the world, the sun is going to rise again tomorrow. The views from any part of the mountain is truly fascinating, even in the darkness you can look out and see most of the southern parts of the island lit up, and you can also see some of the surrounding islands which is picturesque, even at 3 a.m.! Fourth - Bring a few layers of clothes. You are going to sweat like a beast on the way up, but about an hour or so from the top you are going to notice a chill. The peak will be biting as it is above the clouds, so good wool is advised. Also bring a light raincoat for when it rains on the way down. We went climbing up Mount Agung with a very knowledgeable and helpful guide from Bali Jungle Trekking community who has climbed the mountain hundreds times. He was great and really boosted our spirits and gave us courage to keep going all the way to the summit. We highly recommend Bali Jungle Trekking community guides for anyone who looks to go trekking up Mount Agung or Batur if you want something easier. 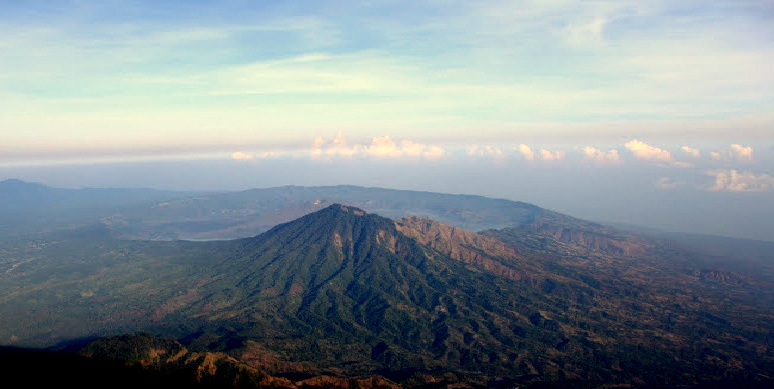 Mount Batur is about a third of the height of Mount Agung, and it possesses easier slopes. Climbing up Mount Agung is hard as it is to get all the way to the top; to get down is just as dangerous. In some ways it is worse because you can see the cliffs you managed to side-step on your way up. When the sun has risen you will be fully aware of the dangers you once again have to face. However, then you witness the local people, there are always some of them who go up and down for their respective ceremonies which generally involves the sacrifice of an animal. We let one group to overtake us who were all putting on flip-flops, singing happily to one another, and carrying large baskets on their heads with offerings and fruits to take to the peak of Mount Agung. Some of them had lights, some didn't, and one guy was lighting the way with his mobile phone! We also saw one man who made the trek wearing traditional Balinese clothes, flip-flops and a goat on his back. So that there will be no more complaining that your back-pack is too heavy or your shoes are rubbing! Overall, it is a wonderful experience for us and a sense of achievement when we got back to the bottom as well as a sense of jelly-legs as we hit flat surfaces of the earth again. 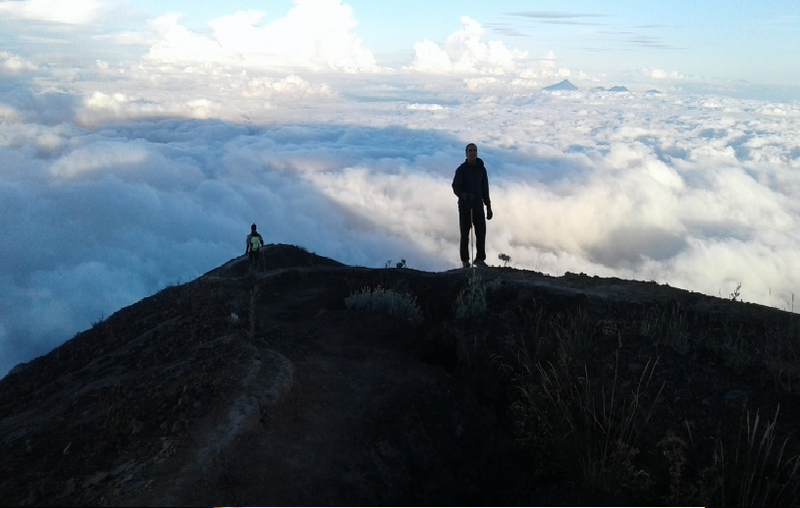 We would recommend Mount Agung trekking to anyone who seeks a real adventure. It is not for the coward by any means, but a really exciting and very tiring day trekking!